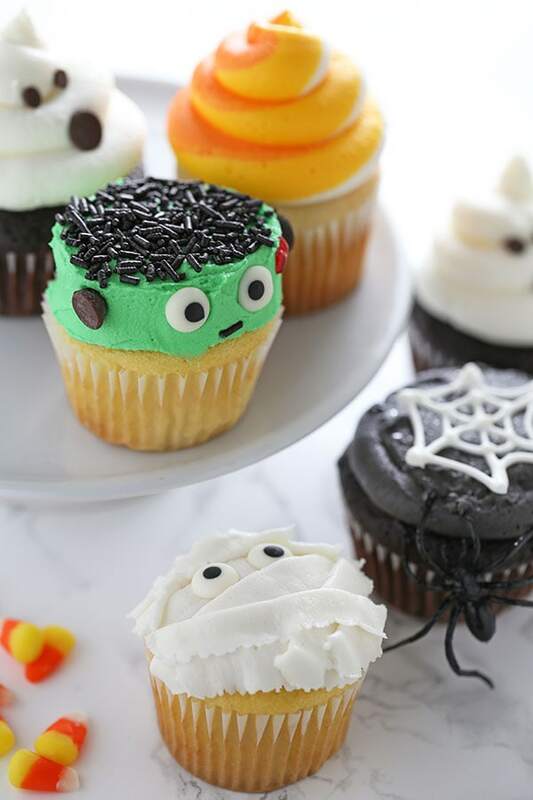 How to Make Halloween Cupcakes with 5 easy and fun decorating ideas! Keep scrolling for the step-by-step video, product list, tips, tricks, and more! With Halloween just around the corner it’s time to start getting a little spooky with our treats! Lately I’ve been getting more and more requests for fun yet doable decorating ideas for cupcakes, cakes, and cookies. I get it, decorating can be intimidating between the level of skill or equipment involved. 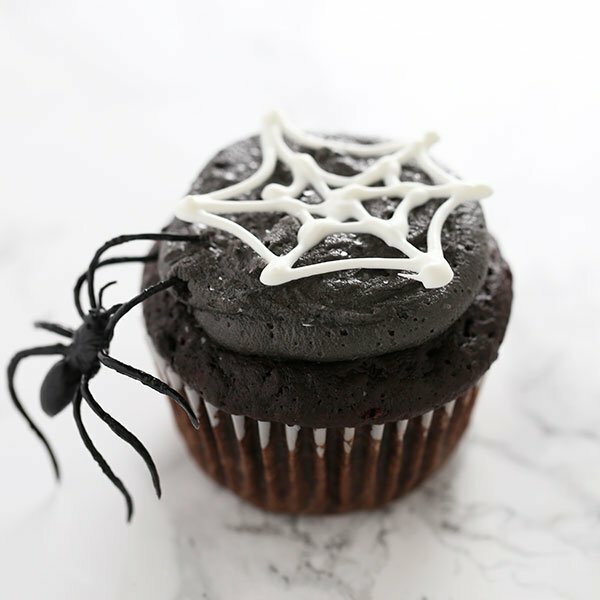 That’s why I’ve been so enjoying sharing posts like this one on How to Make Halloween Cupcakes, because I can create a step-by-step video that shows you exactly how it’s done. I don’t know about you, but that’s always the best way I learn something new! I used my recipe for Best Buttercream for all of these cupcakes. 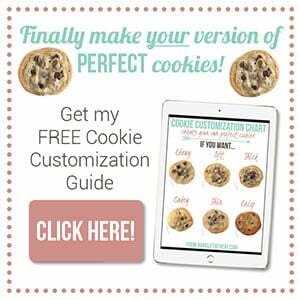 For ALL of my best tips, tricks, and advice on buttercream I highly recommend you download my FREE guide here. It’ll answer tons of your questions. I’m still working on perfecting my vanilla / yellow cupcake recipe. However, I have a fun cupcake experiment here that’ll teach you a thing or two about the science of cupcakes! 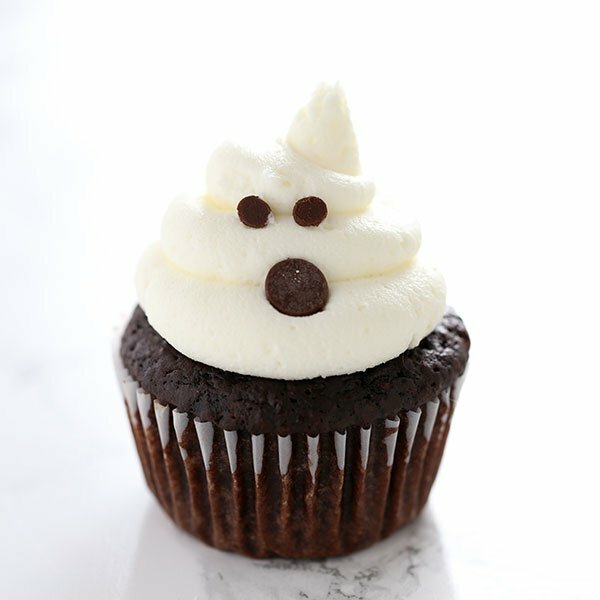 I have managed to perfect my Chocolate Cupcake Recipe here, which I hope you’ll use to make your Halloween cupcake! 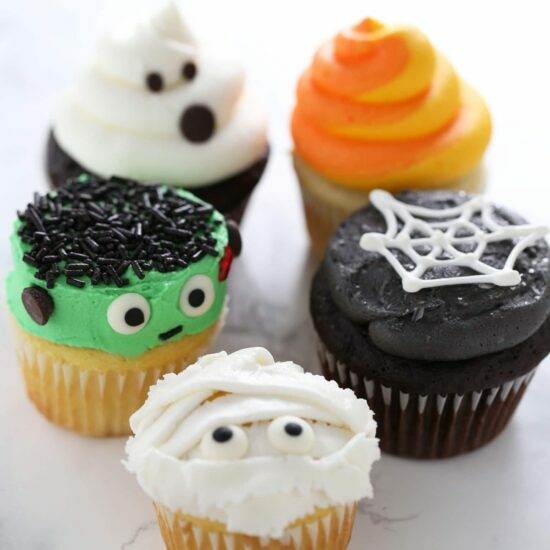 Let me know in the comments below which Halloween cupcake is your favorite! 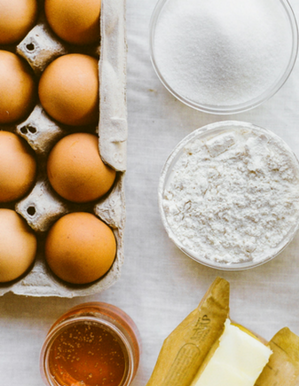 A super simple approach, simply split a batch of buttercream into two additional mixing bowls and color one yellow and one orange. 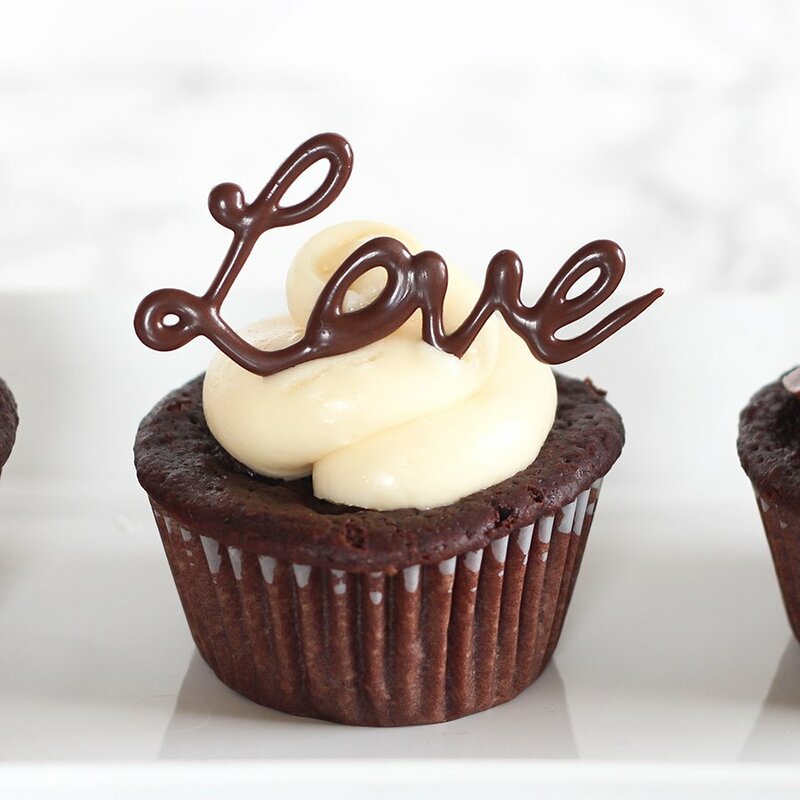 Spoon each into one side of a piping bag, like I do in method 3 of this Swirled Cupcake Frosting tutorial. 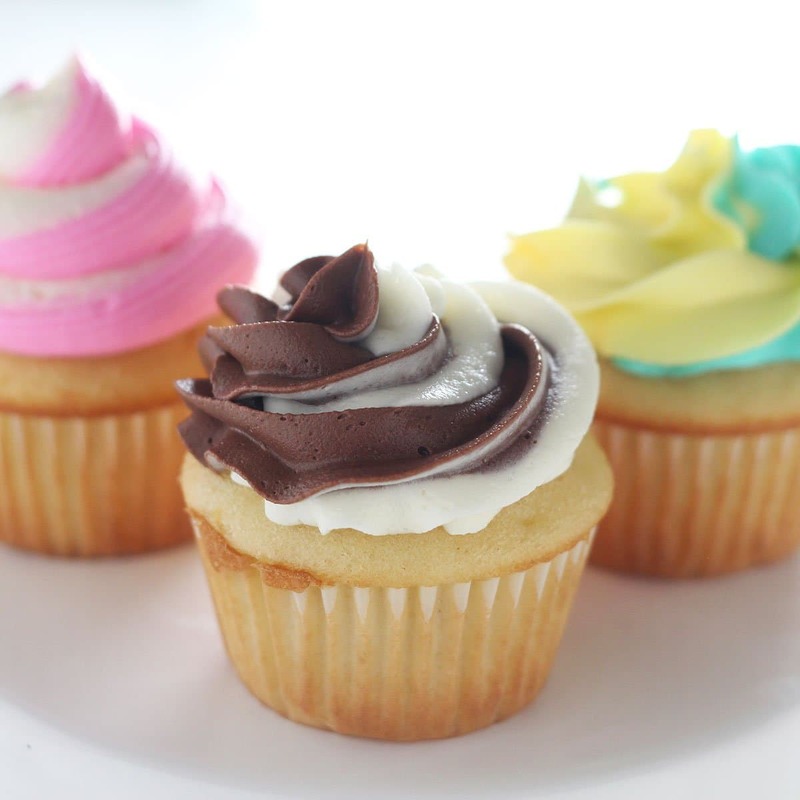 Squeeze the buttercream back out into a mixing bowl until all three colors appear before piping onto the cupcakes. This one is super pretty, in the spookiest way. 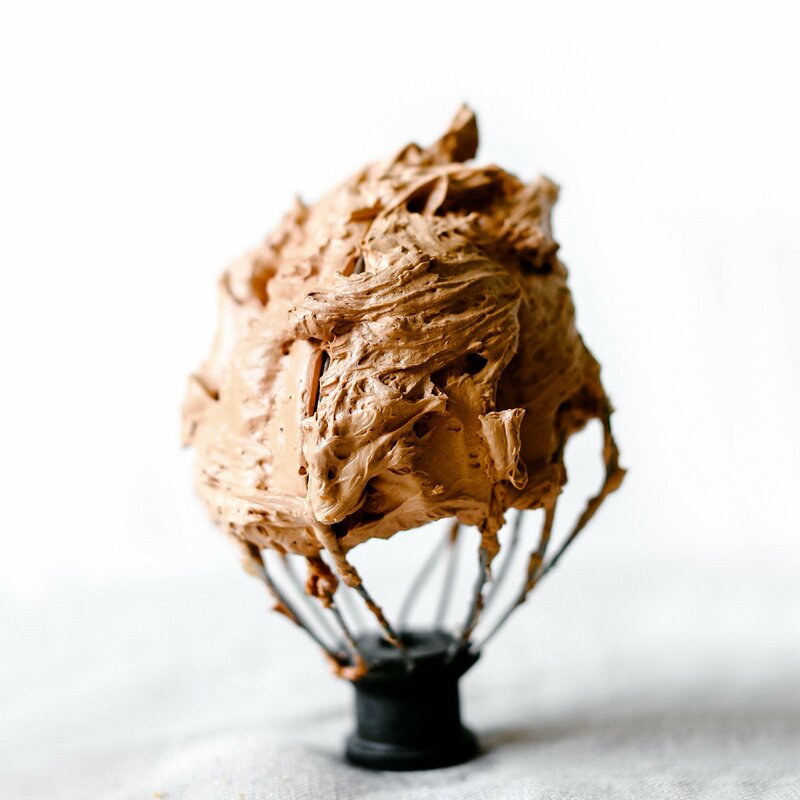 To get really dark buttercream, start with a chocolate buttercream then add black gel coloring. Melt down white candy melts and transfer to a squeeze bottle with a small hole, or a piping bag with a tiny hole snipped. On a piece of parchment, pipe out small spiderweb designs. Let them set in the fridge for about 10 minutes before peeling off and placing on the buttercream. Add a few plastic spiders for extra effect. This is ridiculously quick and simple, and you might already have everything you need! These are SO fun and festive I can’t get over it. 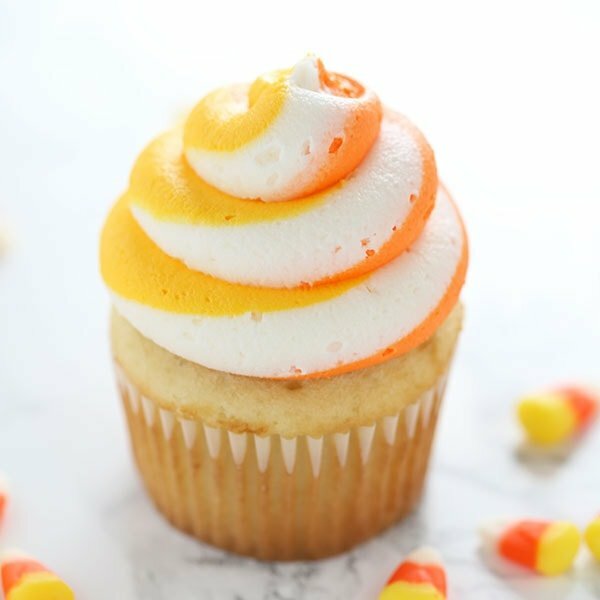 Unfortunately I can’t take the credit for the idea, I first saw it on Pinterest via Your Cup of Cake and knew I had to include this method in this post. I found large candy eyes at my local baking supply store, but I’ve also linked below to Wilton’s version which you can find at most craft stores during this time of year. If you can’t find them, feel free to use chocolate chips or M&Ms. I also cheated a little and used Wilton’s Red Decorator Gel for the scar, which ended up being a little goopy but was super easy. These are super fun, too! I ended up using a petal decorating tip to get the mummy cloth effect. 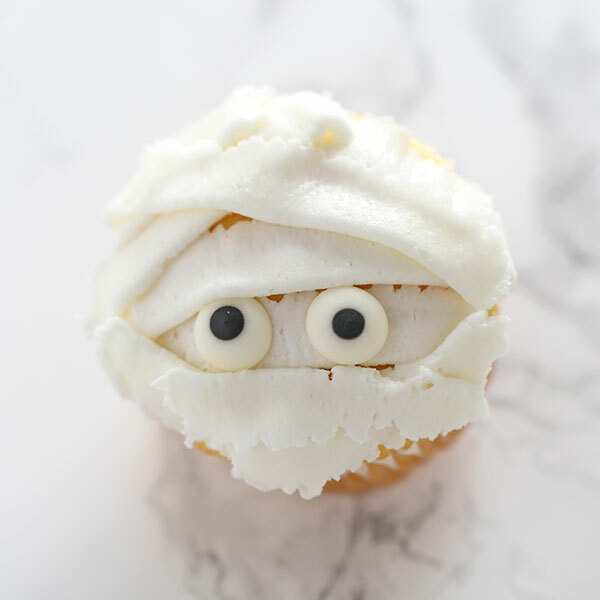 For this I actually added in extra vanilla extract to the plain buttercream to tint it a little, so the color looked more “worn” like a mummy’s cloth. This one takes a little practice to get the cloth strips right, so try it out a few times on parchment paper then scrape the frosting back into the bowl before actually frosting the cupcakes. Oh Tessa love all of them! And I have a Halloween party I am throwing so totally making them all! Just had to tell you that these were ADORABLE! 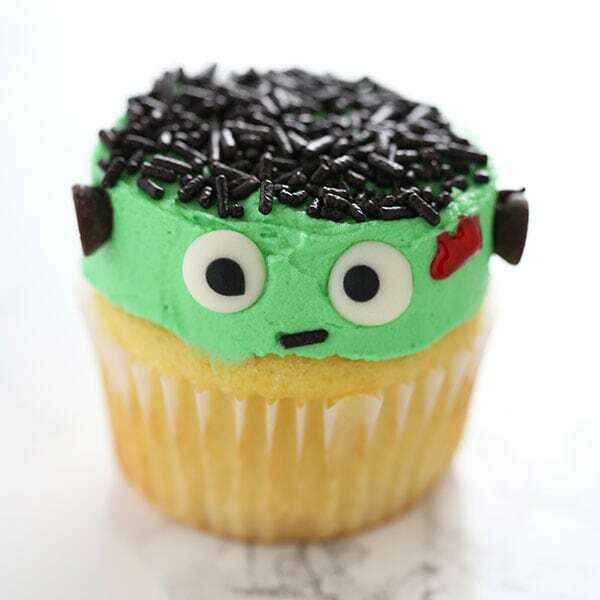 I’d never truly *decorated* a cupcake before (just slapped some canned frosting on and maybe stuck a candy or pick in ’em)… but decided to make the effort and just SEE if I could do some fun ones for our 7-year-old’s baseball team’s Halloween Party. I decided to do the Mummy, Frankenstein and Spider ones. 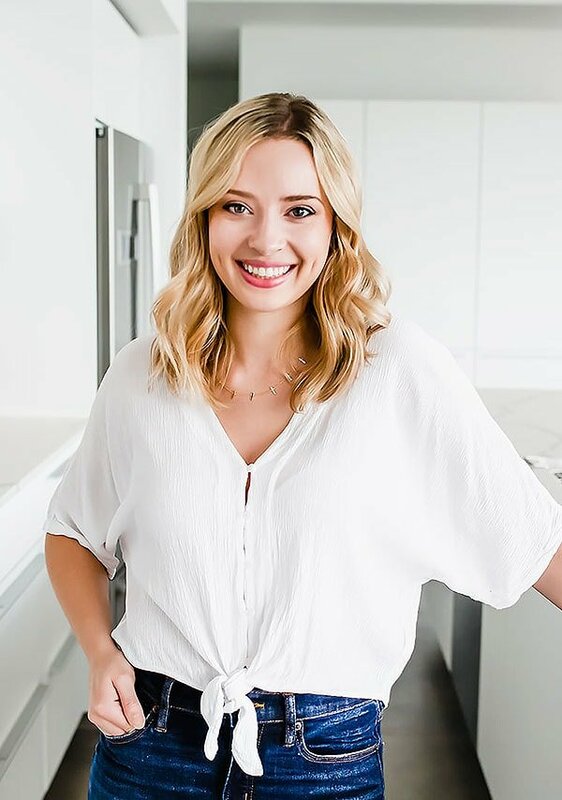 It was quite the ordeal for me, a new baker, but I survived… and had fun doing it! Word of caution: do NOT try decorating these in the morning with *too* much coffee if you’re already a little nervous about it – HA! They really turned out cute, and I’d do them again (maybe not make quite as many, though…)! Thank you for having the idea, the pictures and the step-by-step how-to on your website!! I made these cupcakes for my friends children and they were a big hit. They were so easy to make and decorate.